You need to have a sound investment strategy and a long-term investment horizon to sail through periods of uncertainty with ease. Stock market volatility is a phase where it is natural for some investors to get carried away, make lump sum investments hoping for faster gains, or even reallocate portfolios to invest in more lucrative sectors. Markets are cyclic in nature. Periods of volatility, of new highs and lows, are part and parcel of any long-term investment strategy. However, do not let this volatility be the reason you make sudden, reckless financial decisions. The following tips should help you rise any periods of stock market volatility with ease. Here are some tips to make the most of the volatile markets. For the average investor, it is difficult and time-consuming to research which stocks to buy, hold, or sell, and when to do each of these things. The current volatility provides a good entry point for first-time equity investors since they can enjoy marginally lower stock prices. However, it would be better for them to invest via an Equity Mutual Fund. This allows you to periodically buy a portfolio of stocks researched and hand-picked by your fund manager. Stock market volatility can happen due to many factors including domestic economic factors, international factors, and even political factors. If you are planning to invest towards a goal and are looking at the long-term, such volatile periods should not worry you much. If you are investing in mutual funds, trust the wisdom of the fund manager to help you sail through volatility. Recently, many fund managers reduced their exposure to small-cap stocks and embraced blue-chips as a cushion against volatile markets. In the long run, you’ll be better off for the actions of your fund manager. Investing small amounts via a Systematic Investment Plan allows you to channel your money in a control, disciplined manner into equities. This helps reduce your average buying costs. Instead of allocation of a lump sum amount, investing smaller amounts per month offers a lower risk potential. If you keep investing in a SIP the chances of a long-term return beating both inflation and such volatile periods are almost a given. Market volatility periods are a good time to review your overall asset allocation. Financial experts suggest reviewing of asset allocation once every two quarters at least. The volatility period is also a right time to balance your debt, equity and mutual fund investments of course without losing out on the long-term aspect. Do not let the surge in one asset class make you allocate in a lop-sided manner in that asset class. A good example of such a misstep would be the gold rush around 2011. Investors who made huge allocations in gold and gold ETFs are still waiting for their returns. Market volatility can be a period of great gains or great pain. By following a trusted investment approach and a long-term investment horizon, you can sail through any such periods of uncertainty with ease. 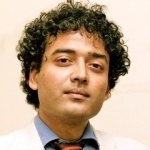 Adhil Shetty is the Founder and serves as the Chief Executive Officer of BankBazaar.com. Adhil has a Master’s degree in International Relations with a specialization in International Finance and Business from Columbia University in the City of New York, and a Bachelor’s degree in Engineering from the College of Engineering Guindy, Anna University. Adhil is an expert in Personal Finance (Car loan/Home loan and personal loan) and he majorly consults on investment and spends rationalization for the Indian loan borrowers. His guidance is number based with real time interest rate calculations and hence useful for consumer’s real time query.